Geneva resident Anne D. Fitzpatrick went for a walk and captured the city after the flood. Photo at left, shows fog over the Rhone River near the Jonction with the Arve in the St. Jean neighborhood. At Pont de la Jonction looking down on the Arve (right) & Rhone (left) rivers. 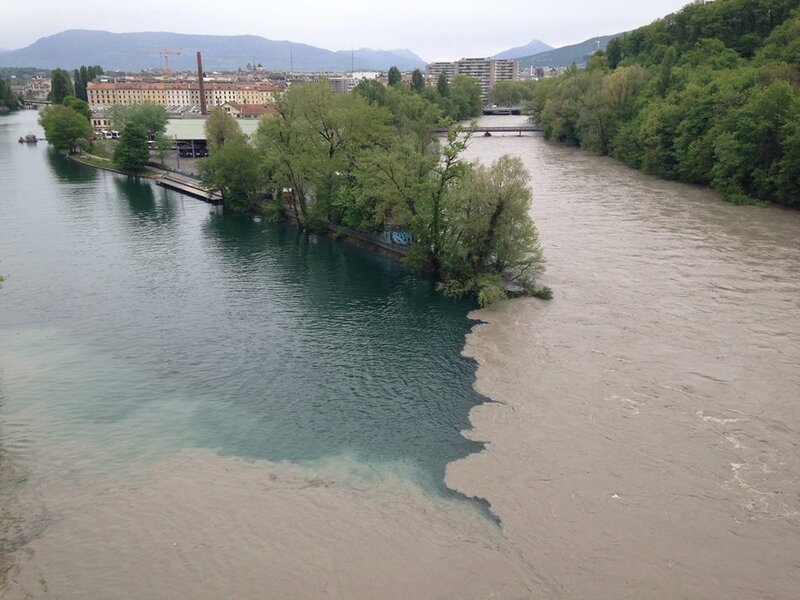 The muddy water of the Arve pushing into the far side of the Rhone River. 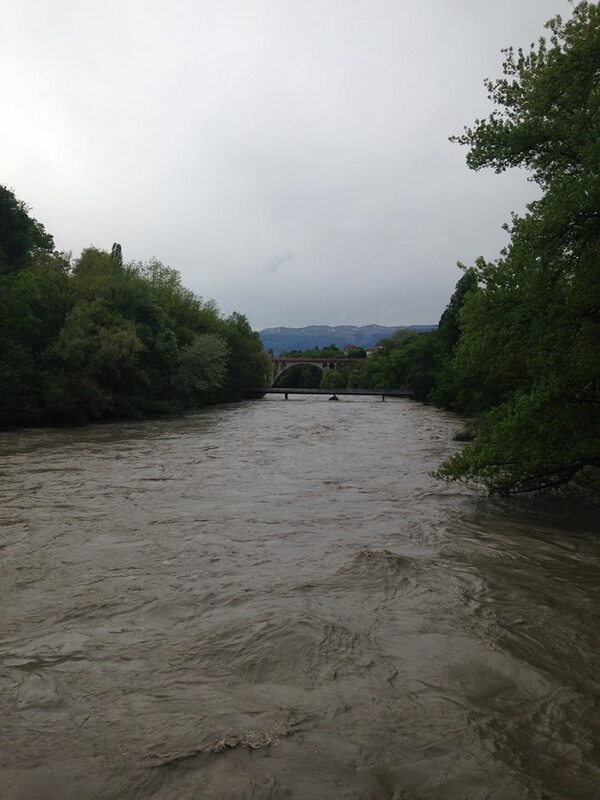 Massive flow of water on the Arve River. 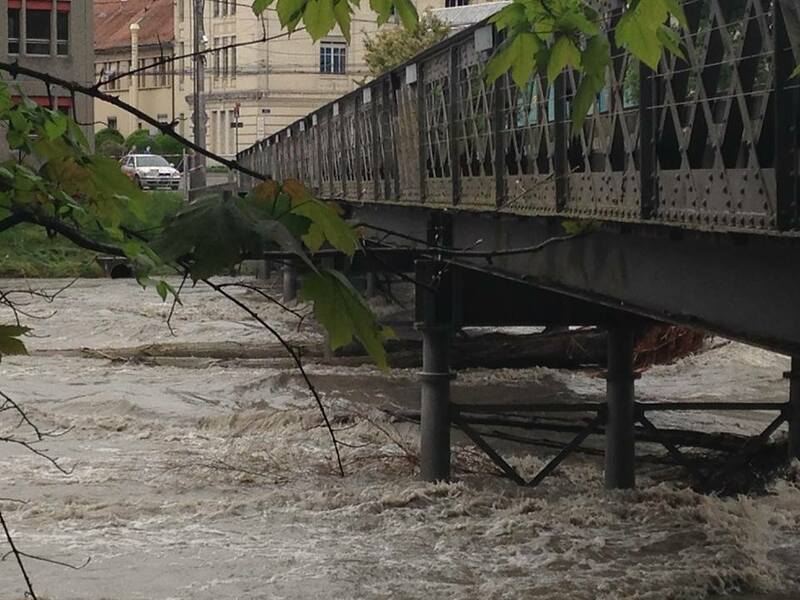 Two large trees stuck under the pillars due to the inundation and violent energy of the water on the Arve River. 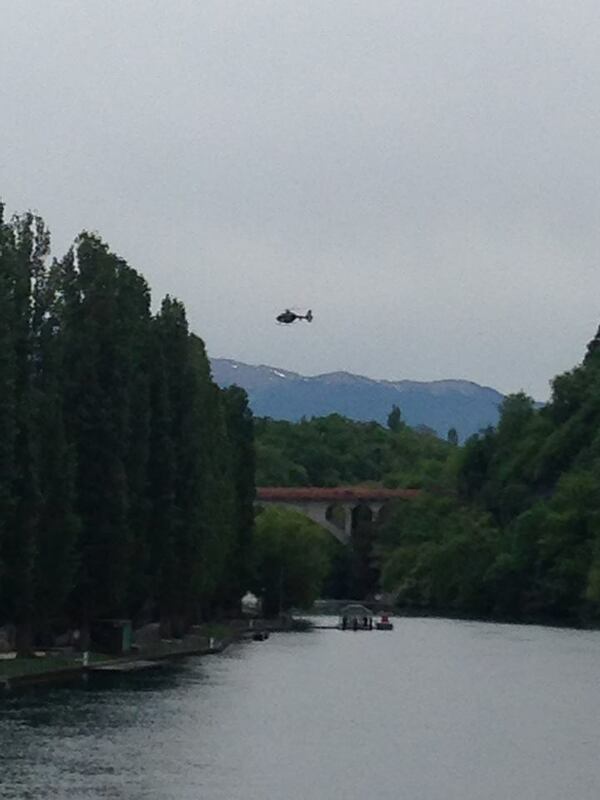 A helicopter assessing the Arve River. 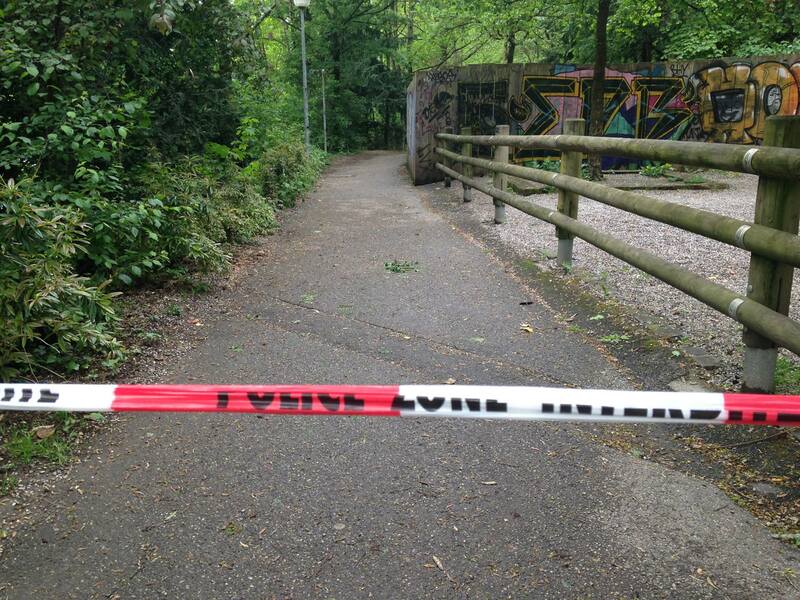 Paths on either side of the Rhone & Arve are closed because of risks/danger. 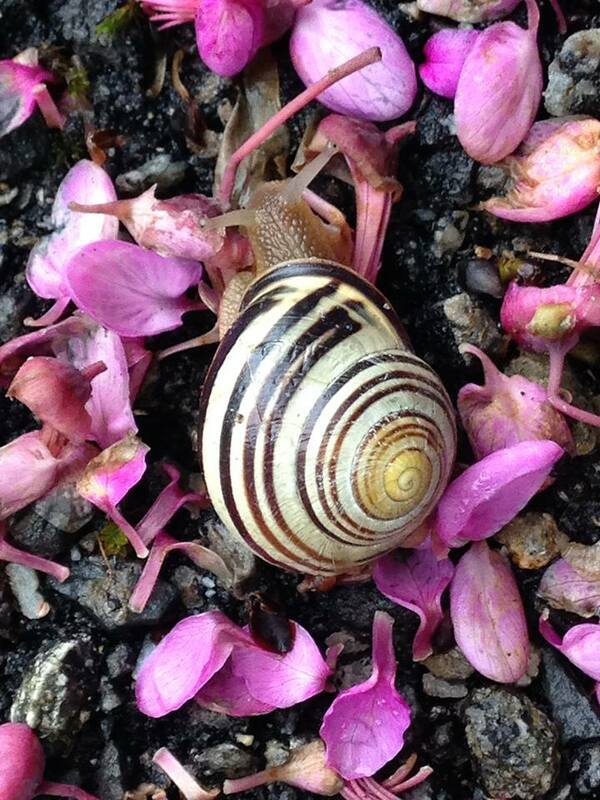 And after the rain comes the… snail. All photos by Ann D. Fitzpatrick.